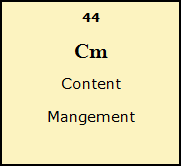 Content Management is the process of collecting, managing and publishing information. Even many businesses understand the importance of content management, they find it difficult to maintain in practice due to a lack of time. At MYP we specialise in content management, we have a team of young dynamic creative professionals with sound business and IT knowledge to do content management. Content management is an important aspect of online presence, without good content your online presence will not have the desired effect. We offer a scalable package that would not burden your other financial responsibilities. We understand that not all businesses can afford high fees for Content Management, thus we will have customised prices according to your needs. Content Management also involve the use of specialised programs that MYP have acquisition of, for the smooth running of the process of content management. We are moreover affiliated to many international companies that can share their expertise with you.